I recently bought a Toshiba 43U6763DB Ultra HD Smart TV, you will get 4K resolution at a decent price of £299. 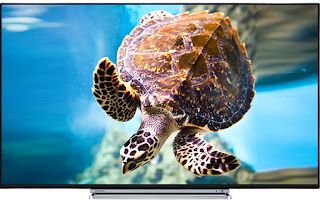 The TV comes with a 5 year manufacturers warranty, but by simply paying £25 extra you will get 5 year Additional Care (accidental damage protection) from John Lewis in the UK. After completing the initial setup I was extremely happy with Toshiba's Ultra HD panel, but the sound was not really impressive. Don't get me wrong it is does get loud but lacks base. I had read the TV's specification before making the purchase decision and was confident that it had Bluetooth, which could be used to connect a sound bar or a headphone. I bought the TaoTronics TT-BH07 Bluetooth headphones from Amazon last year and have been using them while commuting to the office daily. Recently, I started facing issues where my headphones would not auto-connect to my mobile/tablet. The workaround for this would be to manually select the TaoTronics headphone from the Bluetooth settings menu. Microsoft Surface Screen Flicker Issue - FIXED!!! I bought my first Microsoft branded laptop back in 2016, it was the Surface Pro 4! 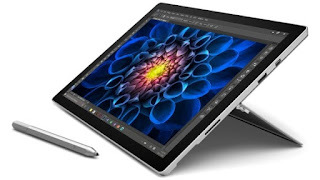 Microsoft Surface Pro 4 provides the flexibility of using the device as a tablet or a laptop. I was really very happy with my purchase until I started noticing the screen flickering / shaking when the screen brightness was lowered. This was easily reproducible while watching videos during the night time.